Most certainly – and I mean both the initial scandal and the resulting over-reaction of the reformers. All of the so-called Watergate reforms have been ineffective – and the abuse of institutions remains a constant threat. Put simply, you cannot legislate morality. The Founding Fathers had it right: they greatly feared concentrations of power and hit upon the solution of three co-equal branches operating in a system of checks and balances. 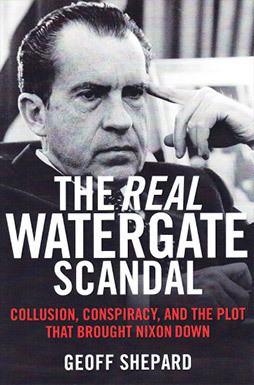 When you get bright and self-assured officials who are so committed to their particular point of view that they decide that their ends justifies their means, then you get the conditions that led to Watergate: intellectual arrogance and institutional abuse. All that’s then needed for a national scandal is when the political pendulum swings back the other way – and you get a Congress willing to take on the President and, perhaps, a special prosecutor. The greater the perceived abuse from the one side, the greater the over-reaction from the other.